More Than 1000 Nutribullet Recipes is a blessing in a form of eBook for all those individuals who need to eat only healthy food. The amount of calories is stated with all the recipes along with beneficial information so that you would be updated with your everyday calories consumption. The recipes are made in such a manner that it doesn’t include artificial edibles such as food colors and flavors. This book offers more than 500 formulas with only 365 days in a year. You will be trying a new smoothie every day after having this book. Recipes mentioned in this book are made keeping in mind that it doesn’t cost much effort for an individual and can be prepared easily. The recipes also include pictures and tips that would help you to understand it in a better way. These recipes are just like a treasure for your health. Only natural ingredients are used for all the recipes to give you full of health. Only slightest cooking is needed in all these recipes so you can get actual taste of all the ingredients in a recipe without any loss of any full of health nutritional ingredient. This book is a must have book for all those individuals who are seeking for a healthier lifestyle. 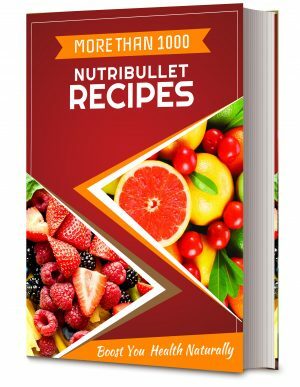 The recipes mentioned in this book are collected from different source so you can get it at one place without any effort. Get this book today and bring home a valuable set of healthy and nourishing recipes.